Writing a brilliant story-so-far is just one of this guy’s talents. Each book stands perfectly well on its own, although they do definitely refer to previous books (but in a self-explanatory way, so you really can pick up any book and run with it – or just read the one). 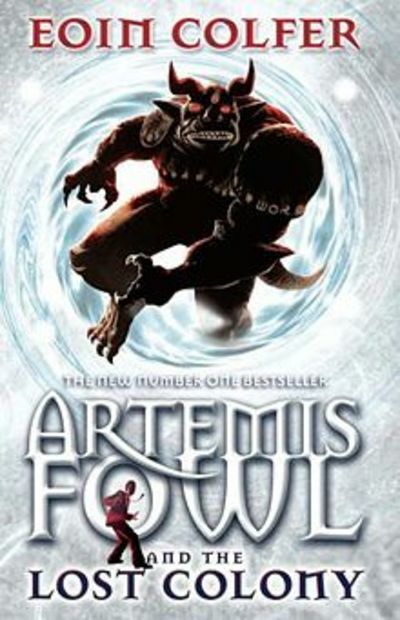 Artemis Fowl is a criminal mastermind from a long line of criminal masterminds. The only thing unusual about his burgeoning life of crime is that he’s just twelve years old (or at least, he is in the first book). Also, it’s clear he has a good heart in there somewhere. These books are a great mix of near-future gadgetry and the fairy world. There’s plenty of humour, and plenty of action. Most of the fairy folk live underground due to human incursions. One race moved en masse to another time-space location – and unfortunately, the spell that took them there is unravelling. “No. 1” is an imp (that is, a demon child). He is mercilessly teased about how he’s remained as an imp for far too many years. All the other imps long to warp into demons, but not No. 1. He finds it all a bit. . . icky. This book introduces a new character with his own plotline, and it does it well. I like the twist on the coming-of-age story, and I like the use of Taiwan’s 101 tower – very cool, and entirely plot relevant while re-establishing Artemis’ genius. I also really, really like the other new character. . . A Girl. Artemis is fourteen now, and he’s been predicting for some time that puberty may cause him some inconvenience. “Butler, can I ask you something?” said Artemis. Butler was trying to keep an eye on every single person in the restaurant.